After many frustrating hours spent debugging a design schematic, the last thing engineers and electronics hobbyists need is the further hassle of spending upward of 15 hours procuring components. 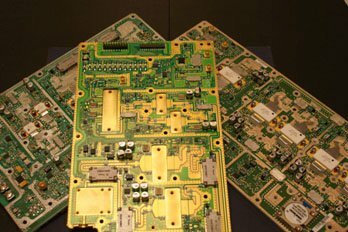 Instead, a more convenient approach is available through the acquisition of a turnkey assembly contract, a type of service offered by certain PCB assemblers that removes the responsibility of ordering components and assembly off the customer’s shoulders. With a turnkey assembly service, the client simply submits the design files and the assembler handles the rest. There are two types of turnkey services: Full turnkey and partial turnkey. With full turnkey, the entire process — including ordering all the components, online tracking, assembly, quality control, and final shipment — is handled by the assembler. Meanwhile, partial turnkey services allow users to provide some of the components themselves, while allowing the assembler to order the remaining components and/or boards. 1. The project is owned by the assembler until completion, thus incentivizing them to finish the job as quickly as possible. 2. Development speed and quality usually is improved because assemblers use components conducive to the their equipment and assembly technology. 3. All components and services are consolidated within a single purchase order; there is no need to coordinate separate POs for each stage of the project. Sourcing, assembly, and quality control are all performed by the contractor, making the process as convenient as possible. 4. Procuring components through the assembler allows users to take advantage of the assembler’s partnerships with electronic suppliers. It’s not uncommon for the turnkey assemblers to have dedicated sourcing experts on staff whose sole responsibility is purchasing boards and components. 5. Expert handling optimizes supply and material usage and reduces the potential for lost parts, resulting in an increased cost savings on material. 6. Integrating each aspect of the development phase yields consistent and accurate end-products. For example, automated machine-assembly delivers consistency across every unit produced. 7. A shorter development cycle translates to a shorter time-to-market distribution. The less time spent transitioning from phase to phase the faster a product will be completed.